Every data storage device allows for data writing and deletion. Data writing and deletion are also applicable to audio files, and it’s easy for audio files to get lost on a digital device if not well preserved. However, there are instances when an important audio file gets missing on a digital data storage device whilst the owner can’t account for how the data got lost. Nevertheless, the reason for an audio data loss is immaterial to us, what now matters is how to recover a lost audio file from any digital device. Hence, if your audio file gets deleted, erased or formatted unintentionally, or lost for no reason, then tips and recommendations in this article would help you to seamlessly recover lost audio files instantly. Audio files can be lost in a computer system due to unconscious deletion, formatting, lost partition, virus and adware attacks. Audio files can be lost in an external storage device due to unnecessary disconnections, bad storage, physical damage to the hardware, and factory defects. However, if there is no physical damage on the storage device, then audio recovery is still possible. It’s somehow depressing and stressing to loss important audio files such as audio records of company board meetings, audio files containing business executive’s instructions and directives, important audio materials for work, audio academic journals, audio eBooks, audio templates, music purchased from iTunes, personal voice records, etc. However, the solutions for recovery audio are available and it’s called iMyFone AnyRecover. iMyFone AnyRecover is the tool that can help you get your lost, deleted, formatted, and corrupt audio files back. 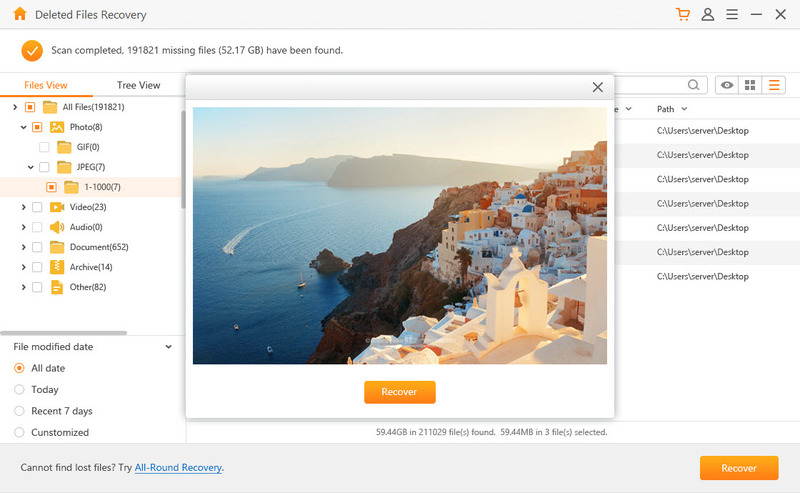 It can help you recover or retrieve lost audio, video, photos, and other media or non-media files easily from any computer hard drive or external storage device. AnyRecover scans and recovers better and deeper for lost files than all Windows recovery utilities and third-party software. 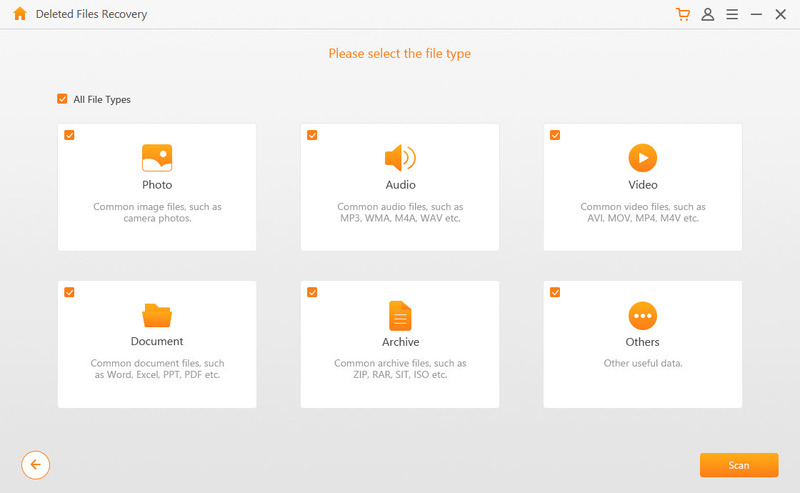 Recover lost, formatted, or deleted audio files, photos, videos, emails, and other media and non-media files from any device. Supports audio recovery from recycle bin, flash drives, hard drives, memory cards, camcorders, digital cameras, etc. Supports the recovery of lost data in the face of sudden deletion, formatting, drive corruption, virus/malware attack, and system crash. All-inclusive data recovery that recovers everything, anywhere, and 100% safe. Step 1. 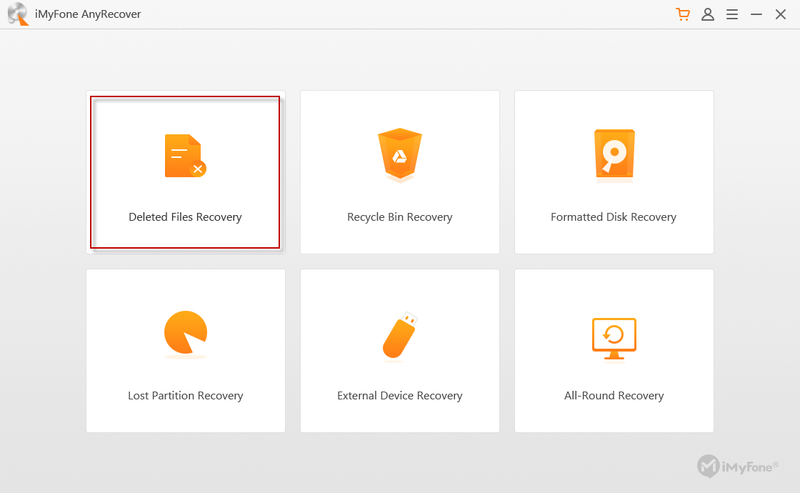 Launch AnyRecover on your PC and then select “Deleted Files Recovery” mode. Step 2. Select the location where you lost the audio file, and click the “Next” tab. Step 3. Check the type of file you want to recover (i.e. audio files), and click the “Scan” tab. Step 4. Once the scan process is completed, all deleted audio files that are recoverable will be displayed for preview. You can go through them and select the ones you would like to recover. Step 5. 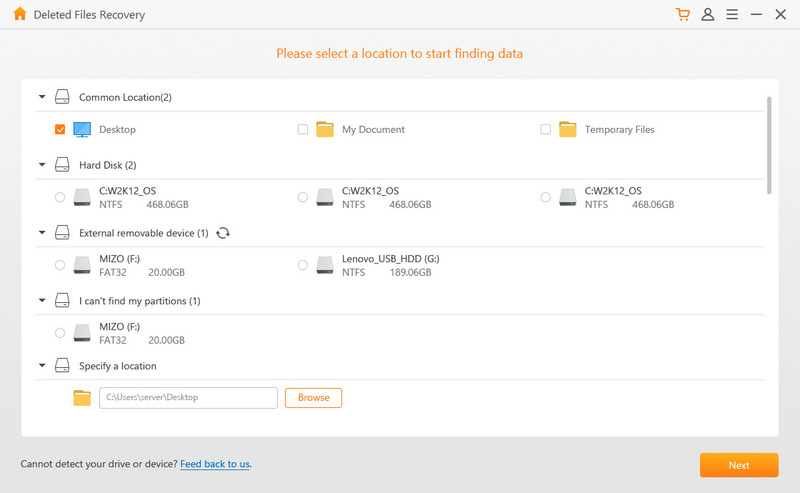 Click the “Recover” tab, and select a location to save the recovered file. Backup your data to a cloud server or a safe external data storage device. Practice good working habits such as partitioning your drive, using good security control, keeping simple file names, avoiding disk encryption, turning your computer system off after long usage, etc. Always use an antivirus and ensure you keep it updated. Protect your device against power surge by using UPS. Keep your device in a dry, dust-free, ventilated, and shaded area. Avoid unnecessary system tweak, overclocking your hardware to yield performance boost, or and be absolutely sure of what you’re doing on the machine. While working on a project, don’t move your system unnecessarily so as to avoid hard disk crash. Safeguard your computer from the access of any unknown user by not opening any suspicious mail or files downloaded from the internet. Practice disk maintenance by defragmenting your hard disk quarterly, and removing used and temporary files. Learn some do-it-yourself methods or techniques to recover lost files. The above measure would help you avoid data loss, but if data loss happens, ensure you use a software that can recover up to 98% of your lost, formatted, or deleted data. For instance, iMyFone AnyRecover is just your software for recovering lost data; and ensure you keep a copy.